The 2018 Jeep Wrangler Unlimited JK is a four-door vehicle that is ready to go anywhere. The JK alludes to the model being essentially a carryover of the fantastic 2017 model. The JL will be arriving to dealerships sometime to 2018, but until then, Jeep is continuing to offer their phenomenal 2018 Jeep Wrangler Unlimited JK. Learn more about the wonderful new 2018 Jeep Wrangler Unlimited JK below! What engine does the Wrangler Unlimited JK have? Jeep powers their Wrangler Unlimited JK with a 3.6-liter Pentastar V-6 engine that delivers 260 lb-ft of torque and 285 horsepower. The meticulously engineered powertrain has a broad torque band and has been designed with a focus on low-end torque. The transmission options include the standard six-speed manual transmission and the available five-speed automatic transmission. When the Wrangler Unlimited JK is properly equipped it offers a maximum towing rating of 3,500 pounds. Every Wrangler Unlimited JK offers incredible power, and drivers can choose from a variety of axle gear ratios in order to find the best option to suit their daily driving needs, and their fuel economy goals. Are there many ways to configure the Wrangler Unlimited JK for going off-road? Each Jeep Wrangler Unlimited JK has been crafted in order to offer an unparalleled off-road experience, and there are almost endless ways that the vehicle can be customized for handling rocks, mud, and more. The Sport and Sahara trims equip the vehicle with a Dana 30 front axle and Dana 44 rear axle. The available Trac-Lok limited-slip rear differential helps to optimize torque and grip when driving through inclement and low-traction conditions. The amazing Wrangler Unlimited JK Rubicon Recon features a wide range of equipment in order to offer power and capability no matter where you go. The Rubicon Recon has a Rock-Trac NV241 two-speed transfer case (with a 4.0:1 low-range gear ratio), a front axle upgrade, heavy-duty cast differential covers, off-road rock rails, as well as Dana 44 front/rear axles. Additional equipment includes a disconnecting front sway bar, electric front/rear locking differentials, and 32-inch BF Goodrich KM off-road tires. Does the Wrangler Unlimited JK have many standard features? The Wrangler Unlimited JK is well-equipped at every level, and Jeep enthusiasts are certain to love the iconic design elements. Some of the signature Jeep features include trapezoid wheel flares, classic round headlamps, exposed hinges, and a seven-slot grille. Customers can easily achieve the classic Wrangler open-air experience with the standard fold-down windshield, removable doors, half doors, and removable tops. On the inside, the vehicle has an amazing eight-speaker audio system. 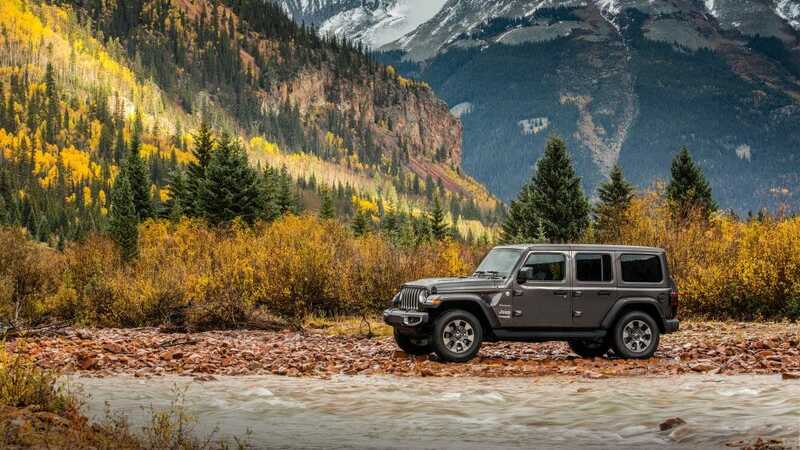 In addition, the Wrangler Unlimited JK has great safety and security features, including brake traction control, trailer-sway control, electronic roll mitigation, electronic stability control, and Hill-start Assist. The Wrangler Unlimited JK is a wonderful choice for drivers who want a vehicle that delivers a commanding performance off-road and endless ways to customize. With the convenience of the four-door body, and the legendary Jeep design cues, the Wrangler Unlimited JK will please any Jeep enthusiast. Contact us today to learn more about this great vehicle!